When you submit personal information to The Tire Store, we assure you that we will not transfer, store or process your profile, other than what is required to fulfill your information request, and that which will allow further contact by us, should you require further information at a later date. Any personal information you submit can be done with confidence as it will not be exchanged or sold in any format or form to third parties. Please note that The Tire Store is not responsible for the content or privacy practices of any external Web sites to which our website may link. We also cannot be responsible for correctness of content and availability of products and/or services that these sites may offer. The material, products and or services contained within our website are subject to availability. We at The Tire Store exercise our right to add, change and modify our products and/or services in terms of pricing, quantity and warrantees at any time regardless if our website is updated with that revised content or not. 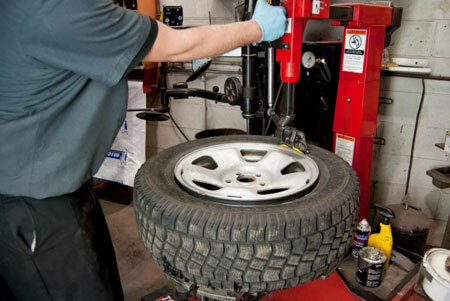 For final pricing, availability of products or services offered by The Tire Store, please call our office. In no event will The Tire Store, its employees, directors, or agents be liable for any damages arising out of the operation of or inability to operate this Web site, Web site elements or information provided on this Web site. Copyright© The Tire Store – All Rights Reserved.